The LighTech Chain Adjusters are the best chain adjusters available. The easy to use clicking system to the easy to read measurements on the side makes this product the best. 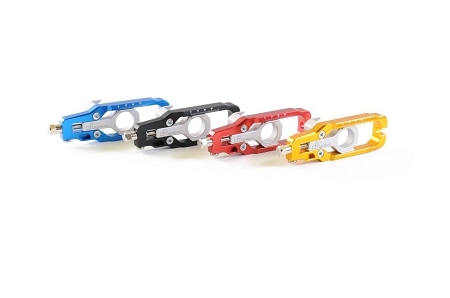 The LighTech chain adjusters make adjusting your chain a simple task with the precision adjustment settings.